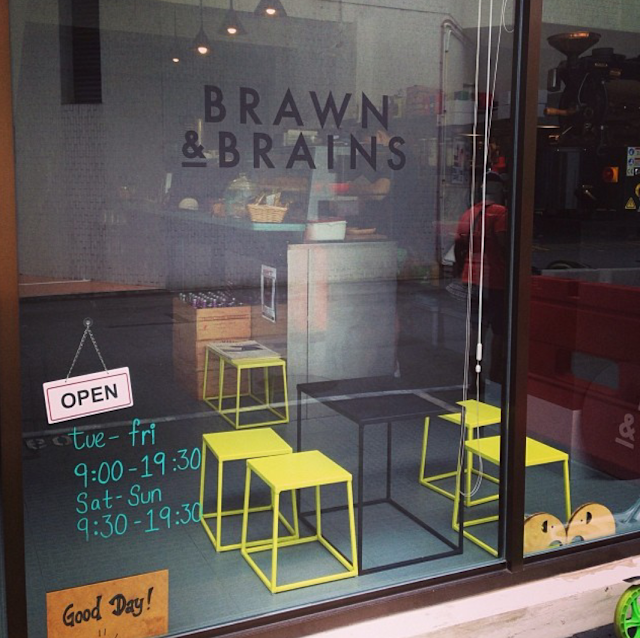 My family and I were so excited to find a new little quaint cafe in our Mountbatten neighbourhood; Brawn and Brains. It was a cosy place that could seat less than fifteen persons. Our little family of four were greeted with warm friendly staff. We ordered their Chicken Wrap and Molten eggs, with bacon and vegetables sandwich. How could we miss out the coffee? We even got the chance to choose the coffee beans. 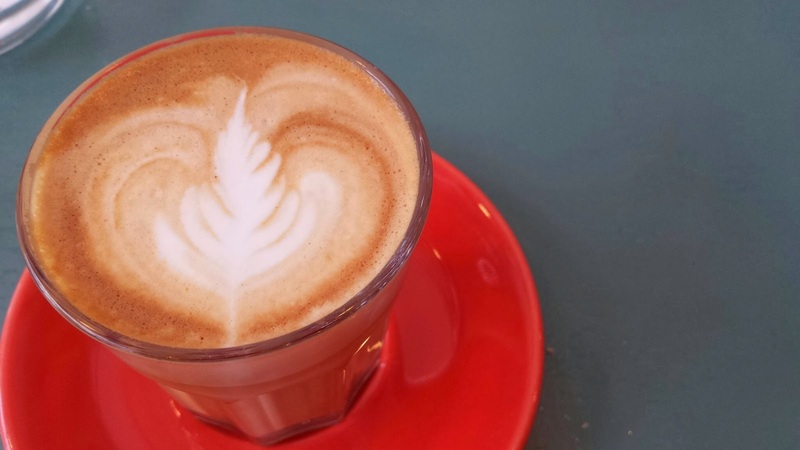 My hubby chose the Sumatra Mandheling beans for his cappuccino and Costa Rican beans for my latte. Coffee is priced reasonably here at only SGD$3.50 per cup. My Latte. Loved the taste of full-bodied coffee. Lovely. 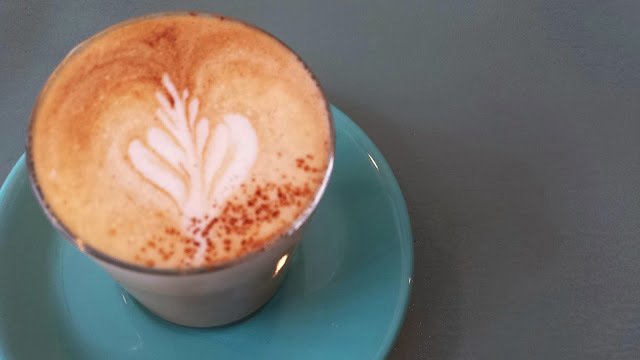 Another worthy coffee to try, Cappuccino. Baby-ccino for the kiddos was equally tasty. Only at SGD$1.50 per cup. 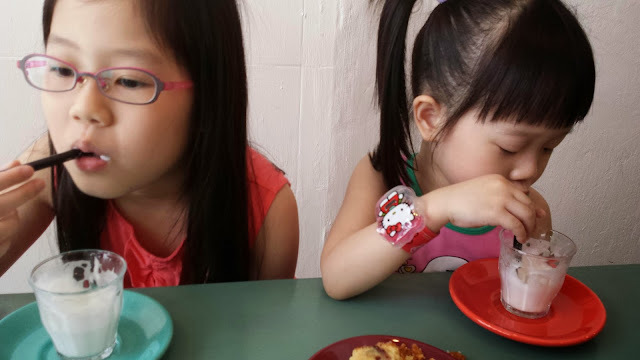 Girls finished sipping in minutes. Too yummilicious. 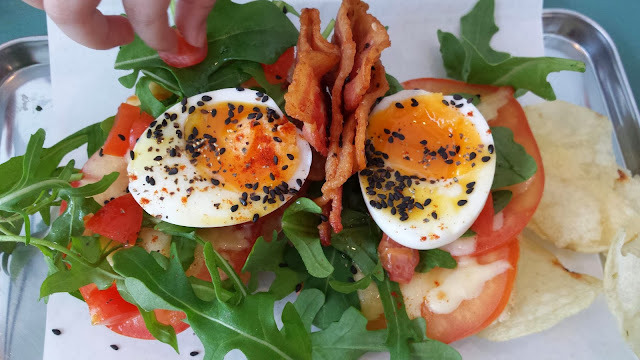 Molten eggs, with bacon and vegetables sandwich. Healthy combo at SGD$7. 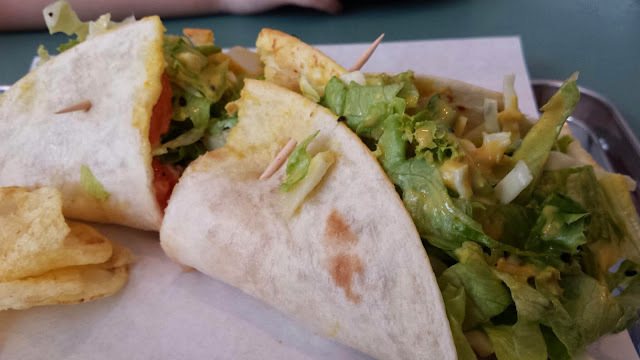 Another less sinful option; Chicken with vegetables wrap. Also SGD$7. 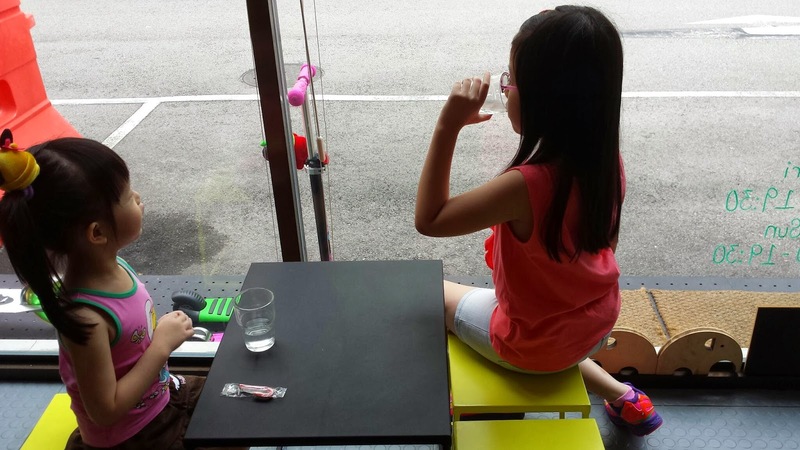 Girls were happily enjoying their little corner, while keeping an eye on their scooters. We truly enjoyed their food and hospitality in Brawn and Brains. One thing to note: the flooring is really good when you had kids in tow. Slip proof and also prevent breakages. Will definitely make B&B as our weekly brunch escapade. Good job to the team. We look forward to see more food selections in the menu soon.